I'm 43 years old and was in great health and my career was going strong. I had a reaction after my 3rd pill of Cipro. 9/15/13: Woke up 3 times during the time with extreme leg pain in calves – felt like tearing. When I moved my legs to readjust/stretch, the pain got worse. Joints felt achy all day. I felt like I was 120 years old, in a haze and couldn't walk straight and had so much pain. Sitting in the jacuzzi helped. Joints and legs felt sore. Lower back tightness. Left Knee: Popped as I put pressure bending it on a chair. It has been swollen and unstable since. I can’t bend down easily and once I do, I can get back up. My knee joints and legs are feeling like they are burning. I’m not able to walk very far without joint swelling and pain. Drove to Oxnard 3x this week for work. Calves seized up while standing in line at grocery store. Difficult to drive – extreme pain in tendons. Had to put icy hot on my calves to make the drove home. Left Knee pain continues. General pain all over extremities. I have nerve pain radiating up from both feet into my legs and my arms & hands. Mornings are tolerable. By 2pm, my feet/ankles/knee are swollen. Nerve pain starts mid-afternoon – I feel like I want to rip off my skin as it feels compressed. My socks and shoes are leaving a deep impression on my skin due to swelling. I have a tingly feeling all over my extremities – this continues all night. Evenings 5-10pm are the worst. My nerves can’t seem to find the perfect temperature. My chiropractor told me not to exercise for at least 3 months as random muscle/tendon tearing can happen at any time. My symptoms are: pain in calves (cramping), left knee damage (something torn), and peripheral neuropathy. I went to the lab for blood work to check my magnesium levels and electrolyte levels. I'm also being referred to a knee specialist to access the damage to my knee. The doctor suggested Advil and tonic water (quinine) to reduce muscle spasms. The doctor doesn't have an answer for me but admits this must be a reaction to Cipro. do hot heat massages on my legs. I use Hylands muscle rub to get the circulation in my legs going. I feel like I need to wear leg/arm warmers 100% of the time. I also get night sweats - core is warm but extremities are freezing. I hopeful to recover, although I know that I'll need a wheelchair at the airport next month when we travel. It makes me terribly sad to realize that I can't keep up with my 4 year old daughter. I try to stay positive and a practice self-relaxation techniques before going to bed - this seems to relax me and improve my circulation. How are you feeling now, 7ish months later? That's rare that a doctor admits your symptoms are from the Cipro. I wonder if he put that down officially on paper somewhere. Cipro and Levaquin are known (by anybody that's paying even a little bit of attention) to cause side effects like you describe. That's great you did research and were supplementing, I wish I'd gotten to your submission sooner to have thrown some suggestions in there. I can still work and move around. I don't know how long this pain will last, most times I get burns on my skin. 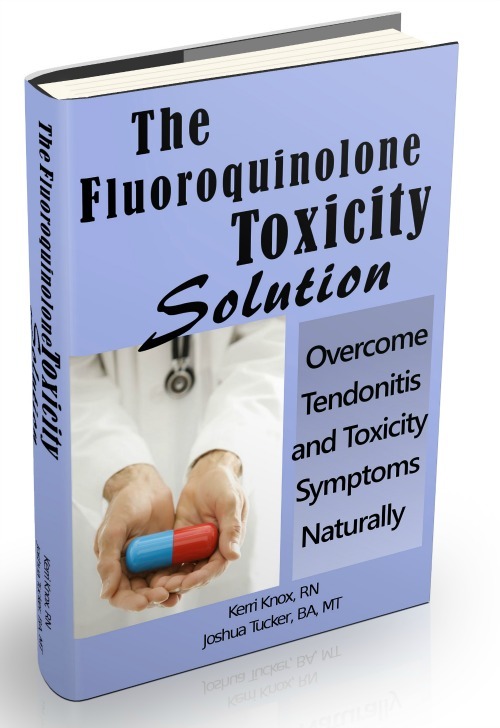 This floroqunolones should be banned. The damages are just too much, I get scared that the damage will continue even after stopping the drugs.. I walk like a man with 500kg load on his head..